Scott Bernard serves as the Federal Chief Enterprise Architect with the Office of Management and Budget, Executive Office of the President. He brings to this position nearly thirty years of experience in information technology management, including work in the government, military, business, and academic sectors. Dr. Bernard has held positions as a Chief Information Officer, Chief Information Security Officer, enterprise architect, IT management consultant, network operations manager, telecommunications manager, and project manager for several business and technology transformation initiatives. He has served as a senior executive or consultant with a number of federal agencies, started an enterprise architecture practice for a major IT management firm, developed his own consulting practice, and lectured on the topic of enterprise architecture world-wide. Dr. Bernard has served for over a decade on the faculty of Syracuse University’s School of Information Studies (iSchool), where he helped establish an executive doctorate program in 2008 and collaborated with the Maxwell School of Citizenship and Public Affairs to establish a graduate certificate in E-Government in 2010. He also has served for six years as a senior lecturer with Carnegie Mellon University’s School of Computer Science – Institute for Software Research, where he developed a professional certificate program in enterprise architecture. Dr. Bernard was the founding editor of the Journal of Enterprise Architecture, and served as Chief Editor from 2005-2010. In 2004, he wrote a textbook on enterprise architecture that is now in use at universities and in training programs around the world. Dr. Bernard earned his Ph.D. at Virginia Tech in Public Administration and Policy, a master’s degree in Information Management from Syracuse University, a master’s degree in Business and Personnel Management from Central Michigan University, and a bachelor’s degree in Psychology from the University of Southern California. He is a graduate of the United States Naval War College, and earned a Chief Information Officer Certificate and an Advanced Program Management Certificate from the National Defense University’s iCollege. 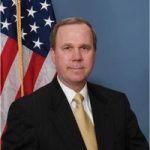 He is a former career naval aviator who served on aircraft carriers and with shore squadrons, led IT programs, and completed his military service as Director of Network Operations for the Joint Chiefs of Staff at the Pentagon.